Dinner and movie is classic. Remember those crazy dating shows that had people randomly paired up to do an activity and then dinner, where more often than not it melted down into a disaster candle? Valentine's Day is the ultimate dinner and a movie holiday. Say what you will about this manufactured holiday, but date night doesn't just have to be in the middle of February. It can be forever and for always an evergreen list of ideas to come back while seeing the best that the Triad has to offer. These date ideas are not set up to do anything more than hopefully ignite fireworks between you and your current beau or your future paramour. Bring romance to your date with a Dinner and Drinks food tour with Taste Carolina Gourmet Food Tours. Walk hand-in-hand through the cities of Winston-Salem or Greensboro and rediscover your city through food, history and unexpected adventure. Spend time touring the city with your date while seeing the city from a different point-of-view with history, food, craft beer and craft cocktails join along for the ride with an expert tour guide. Once your adventure is complete, your night is yours to enjoy. A fun alternative to dinner and a movie can be dinner and a show. A show in the form of ballet, opera or a play. Winston-Salem has all three options year-round. The Winston-Salem Festival Ballet has a limited yearly calendar for public performances, but the shows are breathtaking. The Piedmont Opera, Winston-Salem Theater Alliance, Stained Glass Playhouse and Twin City Stage all help the City of Arts and Innovation live up to its name. What's more romantic than a heart-pounding session with the weapon and range partner of your choice? Whichever local range you choose, the staff will guide you in the right direction and your intended target will be met, I'm sure. I suggest you head to the range first, because the adrenaline coursing through your veins after a session here will have you extremely ravenous after. A meeting of the minds is one way to show off your knowledge of pop culture, music, science and more. 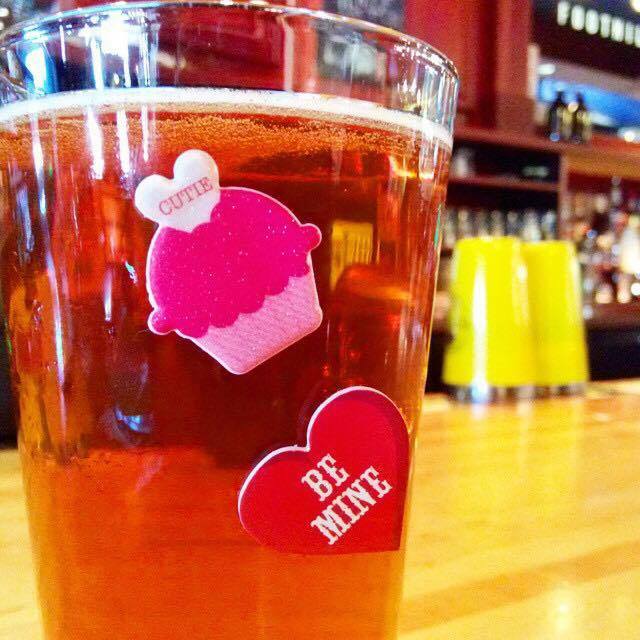 The bi-weekly trivia at Foothills Brewing will give you plenty of opportunity to show your partner who's boss or you can become a power couple and take down the other teams in a battle of wits, over your soon-to-be favorite brews and hot, fresh pub fare. One of the most romantic dates I have ever gone on was this exact set-up: he picked me up from work, we had sushi and hibachi over candles in an Asian restaurant and as the sun set, we walked hand-in-hand through GTCC's campus until we arrived at the observatory. The observatory is open to the public on Friday nights 30 minutes after sundown, so you have to check the website and the local sunset time to arrive at the appropriate time. The best part: IT'S FREE. It was quite chilly, so we had to bundle up and stand close as we viewed satellites, Jupiter and Mars through the college's various telescopes under guidance of an astronomy professor. The same could happen to you if you pick this date night for you and your honey. Date night can easily be a day date where the focus on you and your partner getting to one another better or rediscovering each other, too. Local roaster and coffee shop, Krankies is a great place to get not only your caffeine fix, but there is a full bar and restaurant with a locavore menu (get the chicken biscuit with sausage gravy; you're welcome in advance). After you've fueled up on high test, you can go low key and visit Reynolda House Museum and Gardens and experience turn of the century history with art and local storytelling. You can also skip across the street to Graylyn and have a walk or run though the manicured lawns or take a tour of America's second largest private home.